There are certain precautions to be taken before, during and after Berard AIT to obtain and maintain the maximum benefits. 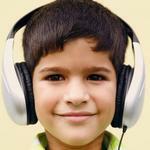 Parents are urged to learn about these precautions so that auditory therapy will be most effective! Earplugs should NOT be used on a consistent basis (such as in a school cafeteria or at school or work). Routine use will actually increase the listener’s sensitivity. Use earplugs or other ear protection for short term exposures only. Avoid exposures to loud noises during and after Berard AIT. 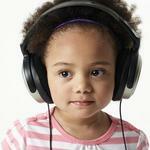 Protect the auditory system and hearing when the person is exposed to very loud noise. This includes from power equipment such as chain saws, lawn movers, power tools, etc. This also includes excessively loud music, rock concerts, long fireworks displays, etc. It may take as long as 6 to 9 months for the changes from AIT to be integrated into the system. It is recommended that other sound-based interventions NOT be considered prior to this period.